●　New test tracks to develop advanced driver assist technologies for expressway merging and diverging, etc. Tokyo, June 19, 2017 – Subaru Corporation will upgrade test tracks at its Bifuka Proving Ground in the Subaru R&E Center*1 in Hokkaido, Japan and use them to develop advanced driver assist technologies. The Bifuka Proving Ground was established in 1995 for the purpose of conducting winter driving tests on snow. 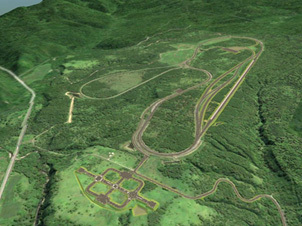 The 361-hectare site includes high-speed and handling courses in addition to test tracks for winter driving, and various tests are conducted there throughout the year. As part of initiatives to strengthen the Subaru brand set out in its mid-term management vision, Subaru Corporation is developing technology to further enhance its EyeSight driver assist system in the aim of becoming the No. 1 brand for overall safety. To accelerate these efforts, the company will set up new test tracks at the Bifuka Proving Ground to develop more advanced driver assist technologies for conditions including expressway curves, merging and diverging on expressways, and urban intersections. Roads simulating North American freeway surfaces will also be added. Subaru will continue its pursuit of engineering excellence to create highly distinctive and compelling vehicles that bring “Enjoyment and Peace of Mind” to its customers.